This is still too early stage of the Regular Season in Liga Metropolitana and we should expect many changes in upcoming rounds. Here is the last round review presented by ESL. The most crucial game of the last round was a loss of Villa Nueva (1-1) on the court of Laminas C. on Tuesday night. Visitors were defeated by Laminas C. 73-63. They dominated down low during the game scoring 48 of its points in the paint compared to Villa Nueva's 18. Laminas C. forced 19 Villa Nueva turnovers. It was a good game for Ruben Rodriguez who led his team to a victory with 13 points and 9 rebounds. Swingman Rodrigo Vallejo (-88) contributed with 16 points (on 6-of-7 shooting from the field) for the winners. Laminas C.'s coach used a ten-player rotation which allowed the starters a little rest for the next games. 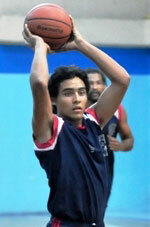 Enrique Samayoa (193-82) answered with a double-double by scoring 18 points, 10 rebounds and 4 assists for Villa Nueva. Both teams do not play next round, which will be an opportunity for some rest. Another interesting game for Club Force (1-1) which played in Guatemala against URL (0-2). Club Force had an easy win 60-47. It was a great evening for forward Hector Chur (179) who led his team to a victory with a double-double by scoring 26 points and 10 rebounds. Kevin Garcia helped adding 7 points, 8 rebounds and 4 assists. 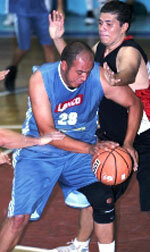 The best for the losing side was guard Luis Menendez (179-95) with 18 points and 6 rebounds. Both teams do not play next round, which will be an opportunity for some rest. Another interesting game for Club Force (1-1) which played in Guatemala against URL (0-2). Club Force had an easy win 60-47. It was a great evening for forward Hector Chur (179) who led his team to a victory with a double-double by scoring 26 points and 10 rebounds. Kevin Garcia (-96) helped adding 7 points, 8 rebounds and 4 assists. The best for the losing side was guard Luis Menendez (179-95) with 18 points and 6 rebounds and Edson Garcia scored 12 points and 6 rebounds. Both teams do not play next round, which will be an opportunity for some rest. The most crucial game of the last round was a loss of Villa Nueva (1-1) on the court of Laminas C. on Tuesday night. Visitors were defeated by Laminas C. 73-63. They dominated down low during the game scoring 48 of its points in the paint compared to Villa Nueva's 18. Laminas C. forced 19 Villa Nueva turnovers. It was a good game for Ruben Rodriguez who led his team to a victory with 13 points and 9 rebounds. 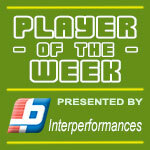 Swingman Rodrigo Vallejo (-88) contributed with 16 points (on 6-of-7 shooting from the field) for the winners. Four Laminas C. players scored in double figures. Laminas C.'s coach used a ten-player rotation which allowed the starters a little rest for the next games. Enrique Samayoa (193-82) answered with a double-double by scoring 18 points, 10 rebounds and 4 assists and Miguel Giron (-95) added 19 points and 5 rebounds in the effort for Villa Nueva. Both teams do not play next round, which will be an opportunity for some rest.